1 October 1207, Winchester Castle. Isabelle of Angoulême (c. 1188 - 1246). 14 January 1236, Canterbury Castle. (1) 28 October 1216, Gloucester Cathedral. (2) 17 May 1220, Westminster Abbey. Battle of Licoln, 20 May 1217. Battle off the coast at Sandwich, 24 August 1217. Treaty of Kingston, 12 September 1217. Restoration of Westminster Abbey, 1245. Mad Parliament and Provisions of Oxford, 1258. Provisions of Westminster, 13 October 1259. Treaty of Paris, 4 December 1259. Battle of Lewes, 14 May 1264. Battle of Evesham, June - August 1265. 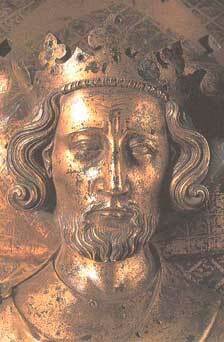 Prince Edward (I) leaves for Crusade, July 1270.